This week’s notable decision is out of the Sixth Circuit Court of Appeals on the Court’s third consideration of the retiree medical issue in Tackett v. M & G Polymers USA, LLC, No. 12-3329, __F.3d___, 2016 WL 240414 (6th Cir. Jan. 21, 2016). 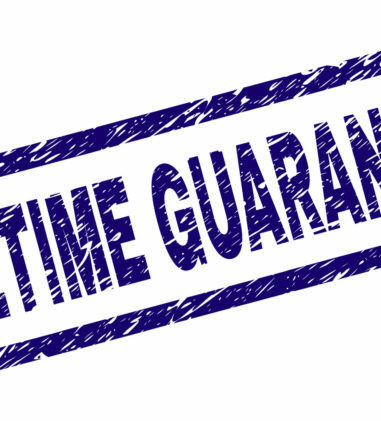 The Court was tasked by the U.S. Supreme Court to construe the parties’ agreements using “ordinary principles of contract law” and not apply the Yard-Man presumption (which required courts to analyze Collective Bargaining Agreements with a “thumb on the scale” in favor of vesting). The Sixth Circuit remanded the matter to the district court to reconsider whether retirees vested in lifetime contribution-free health care without benefit of the Yard-Man presumption. This case has been pending for nine years (! ), hopefully the retirees will see some resolution soon. There were several other interesting cases reported last week, but don’t take my word for it, read more below! Anti-cutback claim permitted to proceed but claims for equitable relief under Section 502(a)(3) dismissed because adequate remedy available under Section 502(a)(1). Wood v. Gen. Dynamics Corp., No. 1:15CV45, __F.Supp.3d___, 2016 WL 258620 (M.D.N.C. Jan. 19, 2016) (Judge Thomas D. Schroeder). Plaintiff worked for General Dynamics Advanced Technology Systems, Inc. (“ATS”) for twenty-one years before taking an early retirement at the age of forty-six. 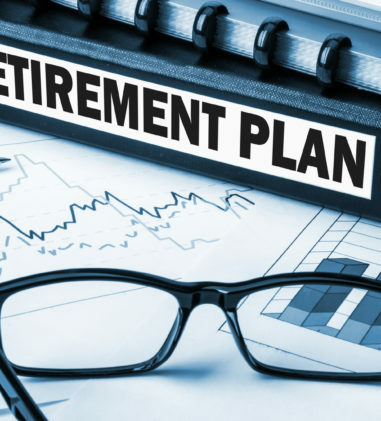 At the time of her initial retirement, ATS pension plan documents stated that Plaintiff’s benefits would be recalculated to account for additional benefits and service in the event she ultimately returned to work. Plaintiff believed that this language meant that future retirement benefits would be based on her age at the time of her second retirement, discounted to compensate for the payments she had already received. Plaintiff later returned to ATS and worked for an additional six years, during which period of time her pension benefits were suspended. ATS amended its pension plan documents to explicitly state that, in the event of a second retirement, an employee’s benefits would be calculated based on her “adjusted” age, defined as her age at initial retirement, adjusted upward to compensate for the period of time in which her benefits were suspended due to reemployment. Plaintiff brought a number of claims against ATS, its pension plans, and a number of ATS subsidiaries. On Defendants’ motion to dismiss, the court declined to dismiss Plaintiff’s anti-cutback claim at this juncture, finding that it applied to Plaintiff’s claim that the amendment resulted in a lower monthly pension payment than she would have received under the original plan. The court also found that a settlement agreement that Plaintiff signed in 2010 did not necessarily waive any anti-cutback claim since General Dynamics modified its retirement plans both in 2009 and 2011, before and after the agreement was signed, and in any event, it is questionable whether Plaintiff could effectively waive her ERISA claims if Defendants actively concealed information from her. Because the settlement agreement was not mentioned in or included with the complaint, the court did not consider it. The court also declined to decide at this stage whether the anti-cutback claim is distinct from, or merely duplicative of, Plaintiff’s denial of benefits claim. The court did, however, dismiss Plaintiff’s breach of fiduciary duty claims, variously styled as claims for “misrepresentation,” “failure to follow plan documents,” “omission,” “equitable estoppel,” and “surcharge,” because under Fourth Circuit precedent, a plaintiff may not plead a claim for equitable relief under Section 1132(a)(3) when a denial of benefits claim under Section 1132(a)(1) could provide adequate remedies for the injury alleged. The court also dismissed Plaintiff’s declaratory judgment claim, finding that it would serve no useful purpose in this matter and dismissed all of the named defendants except for General Dynamics, the ATS Pension Plan, and the Life Insurance Plan – the entities with authority to provide the relief Plaintiff seeks. Lastly, the court granted Defendants’ motion to strike the jury demand. Remand to district court to reconsider whether retirees vested in lifetime contribution-free health care without benefit of Yard-Man presumption. Tackett v. M & G Polymers USA, LLC, No. 12-3329, __F.3d___, 2016 WL 240414 (6th Cir. Jan. 21, 2016) (Before COLE, Chief Judge; KEITH and MERRITT, Circuit Judges). On the 6th Circuit’s third consideration of this matter involving retiree health care benefits, the Court was tasked by the U.S. Supreme Court to construe the parties’ agreements using “ordinary principles of contract law” and not apply the Yard-Man presumption (which required courts to analyze Collective Bargaining Agreements (CBAs) with a “thumb on the scale” in favor of vesting). From 1991 to 2005, the retirees entered into several CBAs with M & G and its predecessors, which included Pension and Insurance Agreements outlining retiree health care benefits. 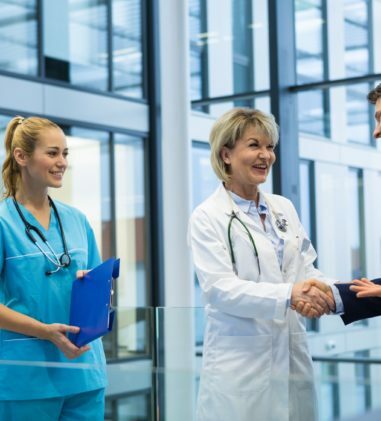 The Pension and Insurance Agreements provide that the employer will make a full Company contribution towards the cost of health care benefits for certain retirees. In December 2006, M & G announced that retirees would, for the first time, be required to contribute to their health care costs or risk being dropped from the plan. Defendants argued certain side letters or “cap letters” established caps they would pay towards Retirees’ cost of benefits. The district court had determined that the cap letters were not part of the Agreements but the 6th Circuit was unclear as to whether the district court and the parties were influenced by the Yard-Man inferences during the trial. The court declined Defendants’ invitation to reinstate the district court’s initial decision dismissing the complaint because that decision had largely relied on the cap letters and did not consider other extrinsic evidence submitted by the retirees. The 6th Circuit remanded the matter to the district court to decide, among other Agreements, whether reference to extrinsic evidence (i.e., the “cap letters”) is appropriate; and whether the Agreements, and any extrinsic evidence that may be considered, vests with retirees lifetime contribution-free health care benefits. Court awards additional fees for work related to first motion for fees, work on appeal, and work in seeking fees. Bunn Enterprises, Inc. v. Ohio Operating Engineers Fringe Benefit Programs, No. 2:13-CV-00357, 2016 WL 223717 (S.D. Ohio Jan. 19, 2016) (Judge Algenon L. Marbley). The court granted in part and denied in part Defendants’ second motion for attorneys’ fees and costs incurred during this delinquent contributions action which resulted in the Court of Appeals affirming the court’s grant of Defendants’ motion for summary judgment. Defendants seek additional fees for work incurred in preparing the Funds’ first motion for fees (and its appeal) as well as the instant fee motion. The court upheld hourly rates of $525/535 for a 47-year practitioner, $470 for a 27-year practitioner, and $370/$390 for a 13-year practitioner. The court awarded an hourly rate of $125 for a paralegal. 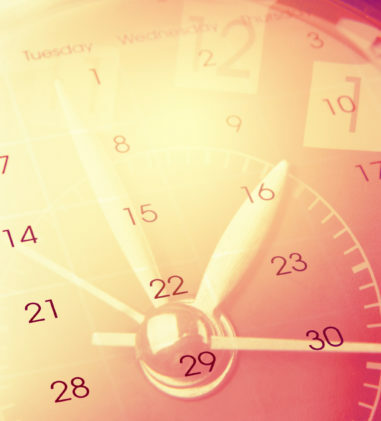 On hours reasonably expended, the court reduced Defendants’ total request by 5% for insufficient documentation as well as for duplicative documentation. The court declined to further downward adjust the fees based on Plaintiffs’ argument that there were too many people working on the case and it was an un-complex case. Lastly, the court granted “fees on fees” based on approximately 23.5 hours and $8,741.25 in fees briefing and litigating for the recovery of fees. Inter-Account Method for allocation of Bernie Madoff estate does not violate ERISA’s anti-alienation provision. In re Bernard L. Madoff Inv. Sec., LLC, No. 15 CIV. 1151 (PAE), 2016 WL 183492 (S.D.N.Y. Jan. 14, 2016) (Judge Paul A. Engelmayer). Four groups of appellants from a Bankruptcy Court decision challenged decisions made by the court-appointed Trustee administering the estate of Bernard L. Madoff Investment Securities LLC (“BLMIS”) as to the mechanics by which funds in the BLMIS customer property estate are to be allocated among BLMIS’s customers. Subsets of appellants separately challenge the Trustee’s application of the Inter-Account Method to circumstances (1) where the transfer originated from a qualifying ERISA pension plan account, and (2) where the transfer was made to a claimant’s individual account from a shared account in which the claimant had invested. The court found that the anti-alienation provision does not apply to the Inter-Account Method because the Trustee is not a creditor seeking to collect against an inter-account transferee, or to garnish or levy on a pensioner’s benefits. Secondly, the anti-alienation provision protects vested ERISA pension plan benefits that have not been distributed. Here, the distribution of funds from the ERISA pension plan account has already occurred and the Trustee proposes to use the Inter-Account Method, in relation to such distributions, to gauge the value of the transfer for the purpose of the measuring the transferee’s net equity claim. The court rejected the ERISA-based objections to the Inter-Account Method and affirmed the Order of the Bankruptcy Court. Court finally approves class action settlement in matter involving the termination of retiree welfare benefits. Zanghi v. Freightcar Am., Inc., No. CV 3:13-146, 2016 WL 223721 (W.D. Pa. Jan. 19, 2016) (Judge Kim R. Gibson). After ten years of litigation, the court finally approved a class action settlement in this case concerning the rights of retirees to continued medical coverage and life insurance benefits. In exchange for the dismissal of the released claims, Defendants will make a one-time payment of $32,750,000, the balance of which after attorneys’ fees ($1,272,068.77) and costs ($27,931.23) will be contributed to a Voluntary Employee Beneficiary Association (VEBA). The VEBA will thereafter be managed by a committee of independent trustees. With the settlement funds, the VEBA will provide various categories of benefits, which include reimbursement for past healthcare expenses, a death benefit, and continuing healthcare benefits. Aetna did not abuse its discretion in denying short-term disability benefits. Marchegiani v. Aetna Life Insurance Co. & URS Federal Services, No. 3:14-CV-00568, 2016 WL 231025 (M.D. Pa. Jan. 19, 2016) (Judge Robert D. Mariani). The court granted summary judgment in favor of Defendants on Plaintiff’s claim for short-term disability benefits. The court found that Aetna did not abuse its discretion in denying Plaintiff’s claim because it was supported by “significant evidence.” This evidence included three physicians-one affiliated with Aetna (Mendelssohn) and two independent (Brusch and Burstein)-who reviewed the medical files and all came to the same conclusion that Plaintiff was not sufficiently disabled to warrant continued STD benefits. Other facts the court found compelling were that hospital discharge notes reported that Plaintiff was “back to her baseline” and that testing during her hospitalization showed no abnormalities; that an evaluation concluded that Plaintiff had average neuropsychological functioning and recommended that Plaintiff “consider a gradual return to gainful employment;” that no objective testing supported Plaintiff’s subjective complaints; and that doctor’s notes indicated that Plaintiff behaved normally during her examinations. 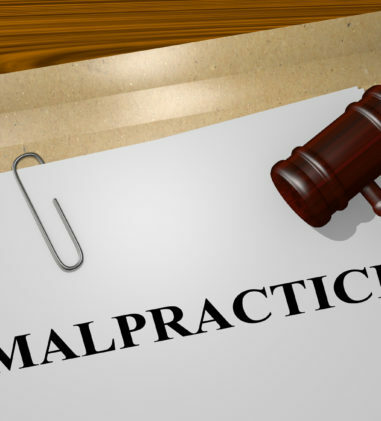 The court found that all of these are facts of record available to Aetna provide substantial evidence to justify its denial, even if the physicians had never invoked them. Plan terms do not exclude posthumous application for disability benefits. Alderman v. Cent. Pension Fund of the Int’l Union of Operating Engineers & Participating Employers, No. 1:14-CV-94-TLS, 2016 WL 183552 (N.D. Ind. Jan. 14, 2016) (Judge Theresa L. Springmann). In this case the Central Pension Fund of the International Union of Operating Engineers and Participating Employers (the “Plan”) denied Plaintiff’s application for posthumous disability benefits following her husband’s death. 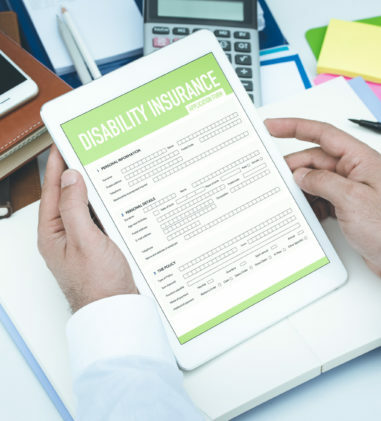 While her husband was alive, Plaintiff had called the Plan on her husband’s behalf and was informed on two occasions that he could not apply for disability benefits until he was awarded Social Security Disability Insurance (“SSDI”) benefits. However, the husband was not awarded SSDI benefits until after his death, at which time Plaintiff submitted a claim on his behalf. The Plan denied the claim on the basis that the application must be filed by the Participant and that Plaintiff was not a Participant. The court found that the Plan abused its discretion by interpreting Participant in this manner since, among other reasons, the statutory definition of Participant including “former employee,” along with allowing that person’s beneficiaries to qualify as a participant, shows that being alive is not an absolute requirement to fit within the definition. 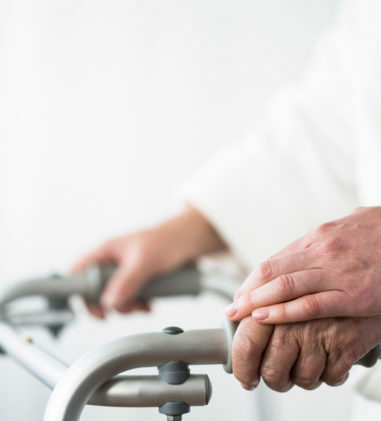 Further, under the federal regulations for ERISA premium rates, “participant” is defined as encompassing deceased individuals with surviving beneficiaries. The court determined that because the Plan denied Plaintiff’s application for disability benefits based on a perceived procedural deficiency, it remanded the matter to the Plan’s administrator to consider the substance of the Plaintiff’s application. In class action context, court finds fiduciary exception to attorney-client privilege applies to withheld communications. Wit v. United Behavioral Health, No. 14-CV-02346-JCS, 2016 WL 258604 (N.D. Cal. Jan. 21, 2016) (Magistrate Judge Joseph C. Spero). In this putative class action, Plaintiffs allege that their health insurance plans have wrongfully denied insurance coverage for mental health and substance abuse-related residential treatment based on internal guidelines developed by Defendant United Behavioral Health (“UBH”), which administers their insurance plans. Plaintiffs moved to compel Defendants to produce nine categories of documents listed on Defendants’ October 30, 2015 privilege log that Defendants allegedly improperly redacted or withheld as privileged. The court engaged in a lengthy analysis of attorney-client privilege and the fiduciary exception to the attorney-client privilege. It found a dearth of cases dealing with the fiduciary exception in the class action context. It concluded that in the class action context, as in cases involving individual claimants, an approach that focuses too heavily on litigation exposure without requiring a showing that advise was actually sought for defensive purposes undermines the principles that the fiduciary exception is designed to protect. 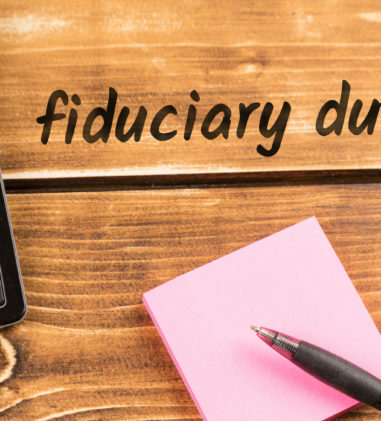 To invoke the fiduciary exception, either the context (e.g. actual or imminent litigation on the subject of the communication) or the contents of the communications themselves must reflect that they are defensive in nature and relate to advice sought and obtained to determine how far the trustees are “in peril.” Based on this, and after reviewing sample documents offered by Plaintiffs, the court found that Defendants withholding of communications on their privilege log was based on an interpretation of the fiduciary exception more narrowly than the case law supports by relying on the mere possibility of future litigation to withhold communications whose primary purpose was not defensive but rather, for the benefit of the ERISA plan members. The court ordered UBH to produce the sample documents offered by Plaintiff in unredacted form and for UBH to review the remaining documents on its privilege log to determine, whether under the reasoning of the Court’s Order, additional communications must be produced. Life insurance claim properly denied where coverage was terminated ten years earlier and not appealed. Hawkins v. Aetna Life Insurance Company, No. 14-1944, 2016 WL 236056 (E.D. La. Jan. 20, 2016) (Judge Jay C. Zainey). Plaintiffs are descendants of Laura Hawkins, who had an approved Premium Waiver claim for life insurance benefits since she became disabled in 1982. Aetna represented that in 2003 it made two requests for proof of permanent disability but Ms. Hawkins did not respond. Aetna did not make copies of these requests or have proof that Ms. Hawkins received them. On November 26, 2003, Aetna sent Ms. Hawkins a termination notice, a copy of which it retained, as well as the postal return receipt with Ms. Hawkins’ signature. Ms. Hawkins did not appeal Aetna’s decision to terminate the permanent and total disability extension and she passed away ten years later in 2013. Plaintiffs sought payment of life insurance benefits, which Aetna denied because Ms. Hawkins was not covered under the policy when she died. The court concluded that under either de novo review or review for an abuse of discretion the result of Plaintiffs’ challenge to Aetna’s decision to deny benefits is the same. The court found that Plaintiffs’ claim for benefits is actually an attempt to assert greater rights relative to the Plan than what Ms. Hawkins herself would have been able to do since she did not timely challenge the termination notice or convert her group coverage to an individual policy. Because coverage terminated in 2003, the court found that Aetna is entitled to judgment as a matter of law. Claims related to Xerox retirement plan’s “phantom account” are released and time-barred. Clouthier v. Becker, No. 08-CV-6441L, 2016 WL 245157 (W.D.N.Y. Jan. 21, 2016) (Judge David G. Larimer). This case is one of several cases relating generally to the calculation and payment of retirement benefits for participants of the Xerox Corporation Retirement Income Guarantee Plan who left Xerox’s employ at some point, took a lump-sum distribution of accrued pension benefits, and later returned to Xerox for a second period of employment. See Frommert v. Conkright, 738 F.3d 522 (2d Cir. 2013). Defendants moved for summary judgment on two grounds: first, that Plaintiff has released Defendants from all the claims presented in this suit, and second, that his claim is time-barred. Plaintiff argued that a release he signed in 1999 does not bar his claims, because at the time he signed the release, he was unaware that Xerox would later determine that he was not entitled to pension benefits, based on the phantom account method. In other words, there was no existing controversy or dispute at the time he executed the release so it is ineffective as to his claims here. The court rejected this argument because when Plaintiff signed the release in 1999, he did so with full notice of the phantom account’s existence. He also agreed to release all claims “known or unknown” and he signed the release knowingly and voluntarily. With respect to the limitations period, the court concluded that even if it were to apply a six-year limitations period (rather than a one-year contractual limitations period advanced by Defendants), Plaintiff’s claims are time-barred because the limitations period in this case began to run when Plaintiff was first apprised of the phantom account offset, by means of the 1998 SPD. Plaintiff did not file suit until 2008. For these reasons, the court agreed with Defendants on both grounds and granted their motion for summary judgment. No abuse of discretion in respondent’s determination that ESOP was not qualified under section 401(a) for its 2010 plan year and its subsequent plan years and that the related trust was not exempt under section 501(a). Family Chiropractic Sports Injury & Rehab Clinic, Inc. v. Comm’r of Internal Revenue, T.C.M. (RIA) 2016-010 (T.C. 2016) (Judge Dawson). In this declaratory judgment proceeding under section 74761, petitioner challenges respondent’s September 16, 2013, final revocation letter determining that for its plan year ending June 30, 2003, and its subsequent plan years, the Family Chiropractic Sports Injury & Rehab Clinic, Inc. 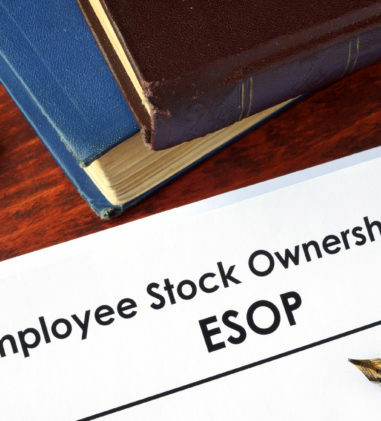 Employee Stock Ownership Plan (ESOP) was not qualified under section 401(a) and that the related trust was not exempt from taxation under section 501(a). 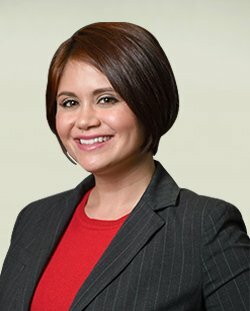 The court concluded that it was not an abuse of discretion for respondent to determine that the ESOP: (1) failed in operation to satisfy the antialienation requirements of section 401(a)(13) and section 1.401(a)-[*3] 13(b), Income Tax Regs. (when it transferred a participant’s fully vested plan benefits) and (2) failed to follow its plan document in operation as required by section 1.401-1(a)(2) and (b)(3), Income Tax Regs. (when it transferred a participant’s fully vested plan benefits). Court empanels advisory jury in dispute over ERISA-governed life insurance proceeds. American United Life Insurance Company v. Arthur, et al., No. 3:14-CV-00586-GCM, 2016 WL 165034 (W.D.N.C. Jan. 14, 2016) (Judge Graham C. Mullen). In this action in interpleader involving a group life insurance policy, one of the defendants challenged the validity of the change in beneficiary form executed shortly before the insured’s death. Although the court acknowledged that the Fourth Circuit has explained that no jury trial is available under 29 U.S.C. § 1132(a)(1)(B) in an effort to preserve ERISA’s high degree of deference to Plan administrators; here, the defendant does not challenge the authority of the Plan Administrator, but disputes the validity of the operative Plan document. The court found that the question of whether the defendant is entitled to a jury trial on claims that question the validity of ERISA Plan documents is entirely unsettled. Further, the defendant’s original claims are highly fact intensive and turn primarily on credibility determinations, the types of claims for which a jury tends to be most appropriate. For these reasons, the court proceeded as though the jury’s verdict in this case is advisory and issued findings of fact and conclusions of law consistent with the verdict. The court found that the decedent signed a change in beneficiary form and was not operating undue influence at the time that he signed the form. As such, the court directed judgment in favor of the named beneficiary on the designation form. District court lacks jurisdiction to consider renewed fee motion where party had filed a notice of appeal of previously denied fee motion. Cox v. Allin Corporation Plan & Unum Life Insurance Company of America, No. C 12-5880 SBA, 2016 WL 270955 (N.D. Cal. Jan. 22, 2016) (Judge Saundra Brown Armstrong). Plaintiff previously filed a notice of appeal of the district court’s denial his motion for attorneys’ fees following the court’s remand of his long-term disability claim to Unum for further consideration. Plaintiff then voluntarily dismissed his appeal and subsequently filed a motion for the district court to amend its previous judgment and award attorneys’ fees. The court ruled that Plaintiff’s renewed fee motion is not properly before the court because at the time he filed the instant motion, Plaintiff’s appeal of the court’s prior order denying his motion for attorneys’ fees remained pending. As a hornbook rule of law, once a notice of appeal is filed, the district court is divested of jurisdiction over the matters being appealed. The court found that his current fee motion seeks essentially the same relief and is predicated on the same grounds as the prior motion from which he appealed. Although Plaintiff voluntarily dismissed his appeal, the appeal remained pending at the time the motion for attorneys’ fees was filed, rendering Plaintiff’s fee motion “a nullity.” Jurisdictional issues aside, the court found that Plaintiff’s renewed fee motion is misplaced and denied it. 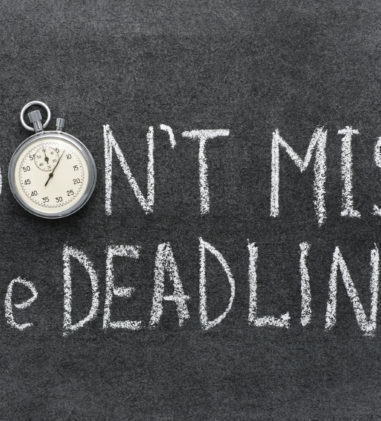 Whether plaintiffs knew or should have known about denial of ERISA plan benefits remains a question of fact that cannot be resolved at early juncture in litigation. Jammal v. American Family Insurance Group, et al., No. 1:13 CV 437, 2016 WL 165447 (N.D. Ohio Jan. 14, 2016) (Judge Donald C. Nugent). Defendants moved for partial summary judgment on Plaintiffs’ claims on the basis of untimeliness. The court previously denied Defendants’ motion to dismiss and found that because Defendants classified Plaintiffs as independent contractors, a limited period of equitable tolling should apply up until Plaintiffs became aware that they were, in fact, consistently being treated as employees and not as independent contractors. On Defendants’ motion for partial summary judgment on Plaintiffs’ claims for benefits, the court explained that Plaintiffs cannot be held responsible for discovering that they had been denied benefits before they had reason to know that they were owed such benefits. Further, in order to know they were being denied benefits, they would have to know not only that they were being treated as employees, but that employees of the company were entitled to benefits under an ERISA plan. The court determined that the question of when Plaintiffs should have known that they were entitled to and had, in fact, been denied benefits under ERISA health, life, and termination benefit plans remains a question of fact that cannot be resolved at this stage of the litigation. On the fiduciary breach claim, the court found that there has been no information presented indicating when the benefit claims should have vested, which would be relevant to when the claim accrued, nor has there been any information presented that would establish as a matter of law that Plaintiffs could or should have known all of the relevant facts that were the basis for this ERISA claim for breach of fiduciary duty prior to the actual denial of termination benefits at the time of their termination. As such, the court denied Defendants’ motion for partial summary judgment. Forum selection clause requires Arizona resident to litigate disability claim in Missouri. Clause v. Sedgwick Claims Mgmt. Servs., Inc., No. CIV 15-388-TUC-CKJ, 2016 WL 213008 (D. Ariz. Jan. 19, 2016) (Judge Cindy K. Jorgenson). In lawsuit for denied long-term disability benefits, Defendants moved to dismiss, or in the alternative, to transfer venue, based on a forum-selection clause contained in the Ascension Long-Term Disability Plan. The provision requires any action arising under the Plan to be resolved only in the District Court for the Eastern District of Missouri. Notwithstanding that Missouri is more than 1,000 miles from Plaintiff’s home and most recent place of work, the court found the venue provision enforceable and transferred the matter to E.D. Missouri. In so doing, the court found that there is no evidence of a bad-faith motive by Defendants, fraud or overreaching and Plaintiff had sufficient notice since the clause is included in both the Plan and the SPD. Additionally, Defendants represented that the SPD is posted on the Carondelet Health Network benefits website, and participants are notified that an SPD is available upon request at any time from the benefits department.